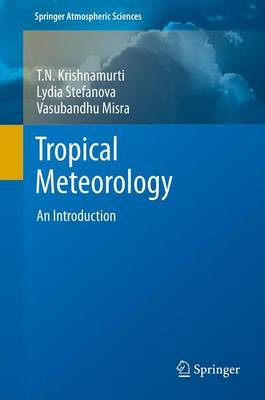 This book is designed as an introductory course in Tropical Meteorology for the graduate or advanced level undergraduate student. The material within can be covered in a one-semester course program. The text starts from the global scale-view of the Tropics, addressing the zonally symmetric and asymmetric features of the tropical circulation. It then goes on to progressively smaller spatial and time scales - from the El Nino Southern Oscillation and the Asian Monsoon, down to tropical waves, hurricanes, sea breezes, and tropical squall lines. The emphasis in most chapters is on the observational aspects of the phenomenon in question, the theories regarding its nature and maintenance, and the approaches to its numerical modeling. The concept of scale interactions is also presented as a way of gaining insight into the generation and redistribution of energy for the maintenance of oscillations of a variety of spatial and temporal scales.